When blackberry evovle will get android 9.0 pie update ? Did their KEYone get Oreo upgrade from Nougat ever? As Chuck said, Optiemus hasn't committed to anything, whereas BBMo (with the KEY²) has committed to Pie outside of India. key2 is getting pie outside india!?!??? ???????????????????????????????????? BBMo can only speak for outside of India. Optiemus decides what happens in India. I know that. All of that was written in capital with a lot of emojis which I don't know why are not reflected in the post.. But ok. My point was that I don't know about KEY2 getting pie anywhere (as no mention of it on their official channels!) So I was shocked to read that they have committed to bringing Pie to Key2. Damn that's epic. I wish it comes to India too! 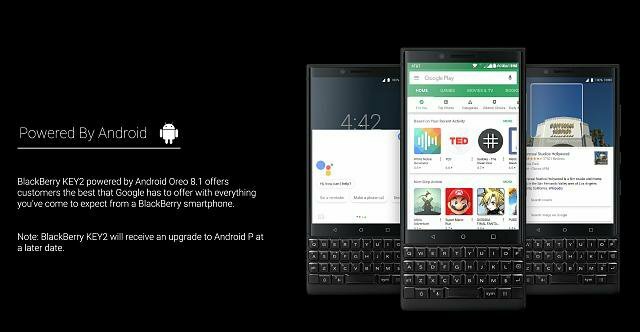 « Will BlackBerry Evolve OS update to Android 9?